Montgomery County Community College: Higher education for all. 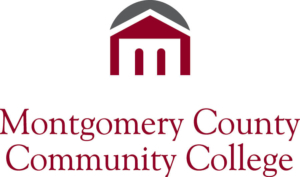 Montgomery County Community College provides accessible, high-quality education to meet the evolving needs of its extensive student population. The College’s comprehensive curriculum includes more than 100 associate degree and certificate programs, including specialized workforce development training and certifications, and more than 40 transfer partners. Students enjoy the flexibility of learning at the College’s thriving campuses in Blue Bell and Pottstown and at the Culinary Arts Institute in Lansdale. As an Achieving the Dream Leader College, the College is positioned at the vanguard of national efforts to increase completion, improve learning outcomes, and remove barriers to access for students. The College is fully accredited by the Commission of Higher Education of the Middle States Association of Colleges and Secondary Schools. CRMA Asia: bringing together like-minded professionals to advance Customer Relationship Management. CRM Academy of Asia gives people and organizations everywhere the opportunity to network, gain knowledge to develop best practices, and global holistic standards in customer relationships. CRMAA transforms CRM & Customer Experience insight into real-world action, offering corporations and brands the tools, training, and thought leadership they need to become fully customer centric. Research provided to form the foundation for a rich dialogue for change. Consulting services address both an organization’s internal readiness and its external customer practices. Communication strategies are planned company-wide based on experience guidelines and performance measurement tools. Learning from 1:1 leadership coaching to organization wide educational sessions, CRMAA programs empower and inspire employees at all organizational levels to achieve exceptional results. EarlyBridge: helping organizations put the customer at the center of their business. EarlyBridge builds bridges between organizations and customers by developing and implementing strategies that create an effective dialogue between brand and customers. Customer Focused Solutions: leading Customer Experience in West Africa. CFS combines expertise with innovative technology to deliver end-to-end solutions to improve the overall quality and customer satisfaction index of service-focused organizations. WOW! Customer Experience: enriching lives and helping customers. WOW! CX is a leading company based in Argentina, specialized and focused in Customer Experience whose mission is enriching people’s lives by helping companies to transform their business approaches with an outside–in vision and focusing efforts on what is really important for their customers. WOW! CX works with people who manage Customer Experience across a range of sectors in Latin America. Their team of seasoned professionals is highly skilled and on top of CX trends and world class service delivery. Plus, they are Corporate Members of the CXPA. How can WOW! CX can help your company? Now Launched! CX University Online Courses in Spanish! The Employers’ Association, Grand Rapids: operational excellence and sustainability. We create customer experience events focussed on improving every aspect of corporate interaction with customers and employees. With year on year attendance growth at our events, we have an impressive track record in attracting major brands and industry experts in delivering and supporting our landmark events. Focus Group Events has been independently accredited by the CPD Standards Office for its ‘Customer Experience Professional Certification’. Cxessentials is an independent Customer Experience Essentials Management Company. The business verticals include a wide range of integrated Consultancy, end-to-end Services, innovative Solutions with world-class technology, and University offering training and learnings second to none. Cxessentials is the key to elevate and to achieve a competitive edge, high customer retention, innovative technology, ROI, growth in profitability, operational excellence, customer satisfaction and an overall improvement of internal and external customer experiences.